The Angel folder from Rainy Vallotton is a dual-action automatic with a hidden bolster release and thumb stud opener. 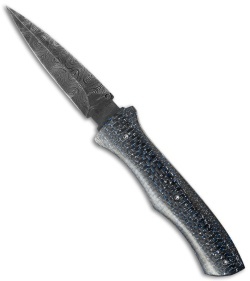 It has a dagger blade, made from Chad Nichols "Ladder" Damascus steel with a single sharpened edge. 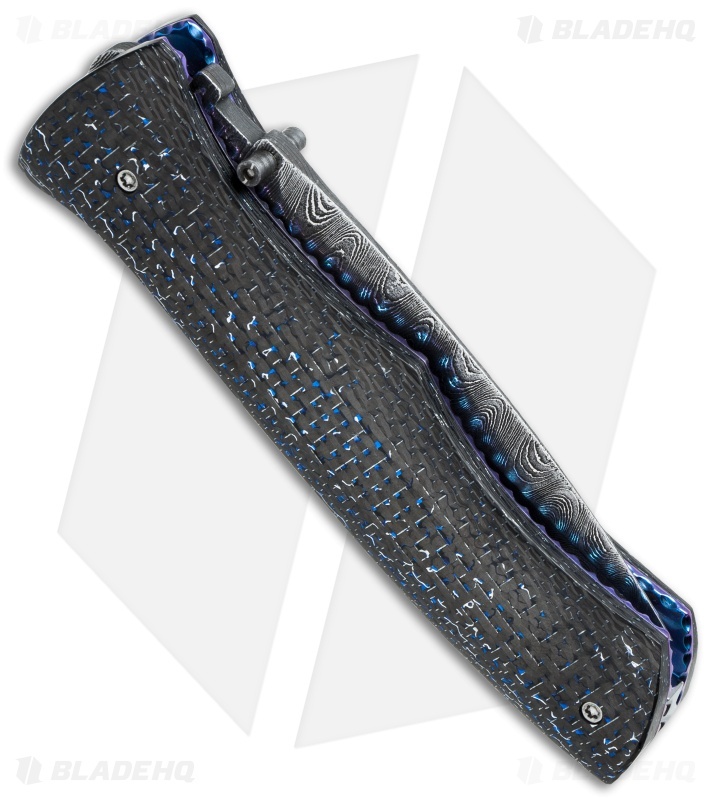 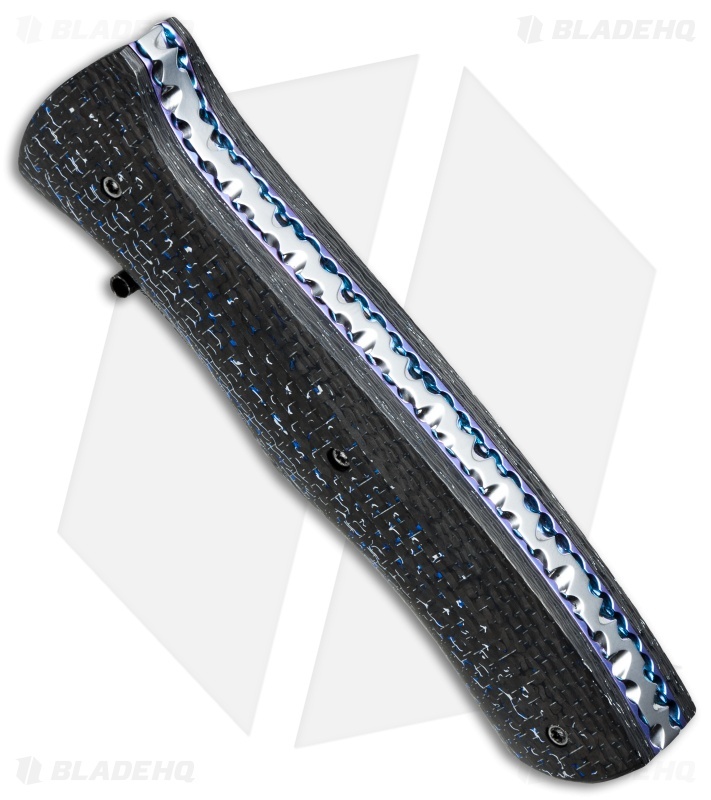 Blue and silver lightning strike carbon fiber scales are fastened to the titanium liner lock frame. Rainy's file work is present on the liners and 440C stainless steel back spacer. Includes signed certificate of authenticity.